The Approval Workflow forms are InfoPath forms that can be modified using Infopath Designer. 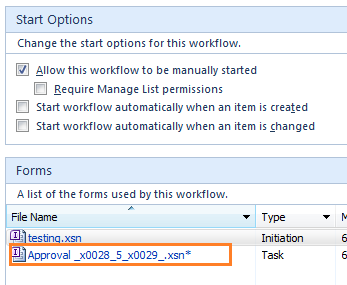 Got to Workflow > Click on the Approval Workflow. In forms Section,> Click on the form to open and edit it with InfoPath. Not the answer you're looking for? Browse other questions tagged workflow designer-workflow approval-process content-approval sharepoint-email or ask your own question. How can I direct a form to a specific person for approval? How can I hide “Publish Major a Version” link on call out?